We decided to go to British Columbia at the last minute for the labor day weekend. Initially we thought we would drive and quickly realized it was not practical if we had only a week in hand. So we flew to Seattle and then drove to Vancouver from there. In Seattle we stayed with a friend for a night. 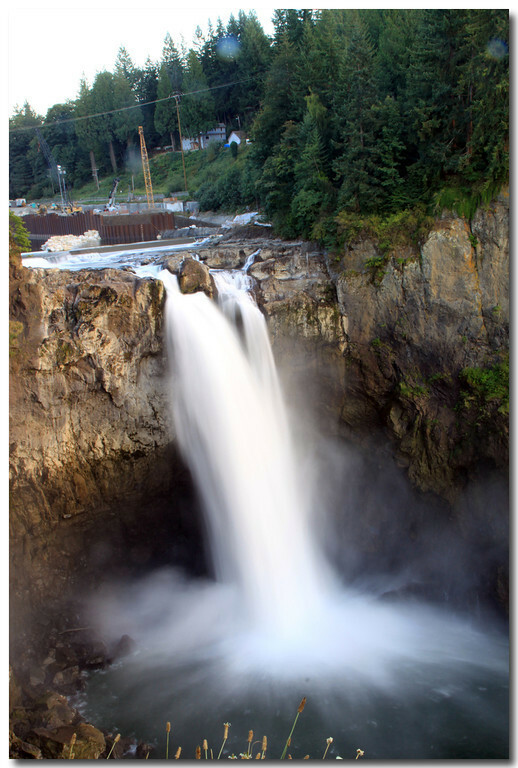 We sneaked a visit to Snoqualmie falls thanks to M and R with the company of their kids T & S. It was great fun. See for yourself. There were many blackberry bushes around this place. Had fun picking them with little T. Although they were very sour!! The next day, after a hearty breakfast left for Vancouver. Close to the border, found out that the border was traffic heavy, thanks to the radio, so took a detour and drove via less crowded border crossing. Drove straight to Granville island. Parked our car and strolled around this quaint village. Had nice lunch at the market. Lots of vegetarian options. It was fun having lunch overlooking the water and the street performers. Then headed to our hotel near downtown. Took the map of the city and walked to English bay beach. It was a short walk from our hotel. It was beautiful walk. Then we headed to Grouse Mountain. Our friends M & family joined us in Grouse Mountain. Beautiful view of the entire Vancouver from the mountain top. This is also a home for couple bears. The wooden carved structures are a treat to our eyes. We took the skychair to the top and took an elevator ride to the top of the windmill there. It was breathtaking from there. It is a very unique experience. Although 50$+ person ticket does seem very steep for this experience. We had dinner at the lodge there and came back at night. The view in the night was awesome. If you reserve and eat dinner at the restaurant, I hear the ticket to the top is free. Wish we had known that before. Also it gets cold in the evening. 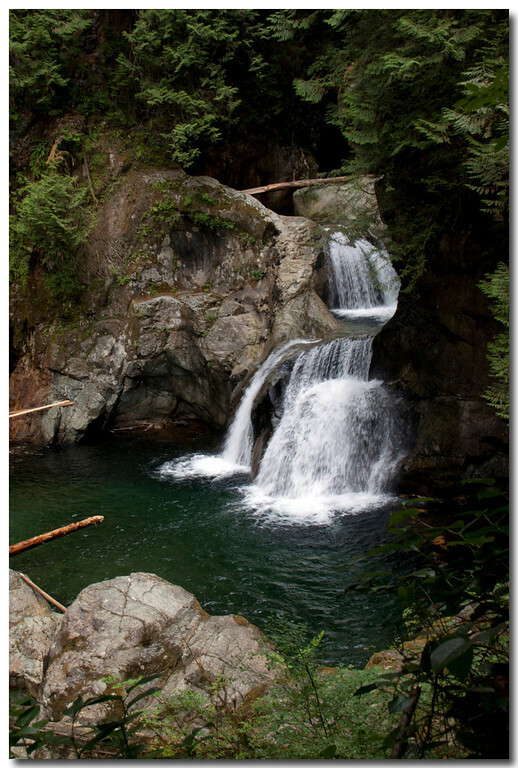 Also if I had gone there in the evening, would have loved to try the Grouse Grind hike. The next day morning, had breakfast at hotel and headed to Lynn Canyon. 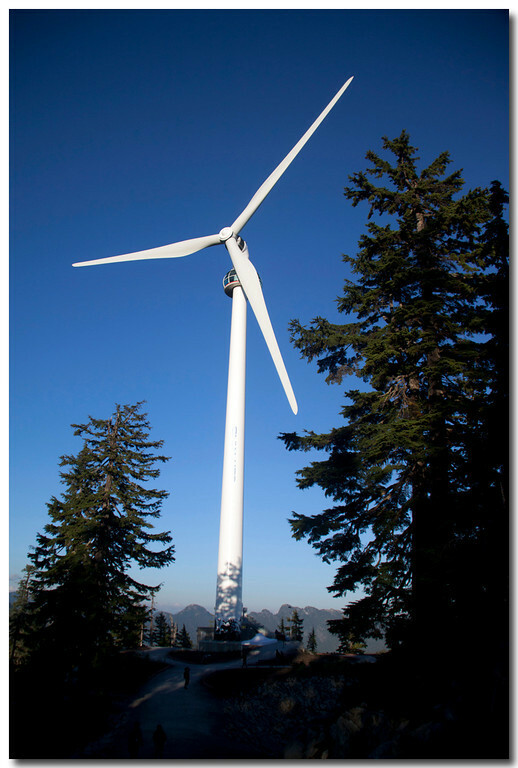 It is a state park which is very similar to Capillano suspension bridge park. 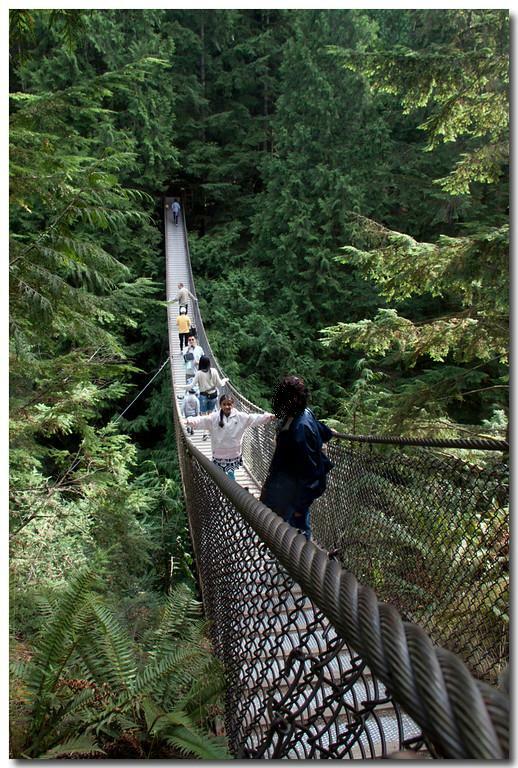 This place also has a suspension bridge although not as big as Capillano but free. We had a fun couple of hours hiking and enjoying the huge trees. We hiked to a waterfall and the river and we pretty much has the place for ourselves. Our friends left for Seattle after Lynn Canyon. We headed out to our beautiful bed and breakfast. Left our baggage, our host gave us some ideas to where to eat, what to do for the rest of the day. We parked at our hotel from the previous night and walked to Cactus Cafe. Had very good food there. Their drink was also excellent. Then headed to the bicycle rental shop, parked our car, rented a couple of bikes and went to the famouse Stanley Park. It was a lovely scenic easy 8KM ride. We soaked on the scenaries and also enjoyed the blackberry bushes along the way. After a nice ride, we headed towards lighthouse park in West Vancouver. After a short hike, got to see the wonderful light house and the beautiful Vancouver downtown with a back drop of Mt.Baker. After a quiet dinner at an Italian restaurant(not bad), headed out to North Vancouver to have a nice view of the downtown at night. Our B & B was very beautiful and had a great view of Vancouver. The breakfast overlooking the garden and Vancouver downtown was magical. Next day morning we headed for Whistler.